Even for diligent brushers and flossers, it’s very common for the teeth to develop decay, damage, or experience natural wear and tear. And, for those who don’t take consistent care of their teeth, they can often go missing altogether. 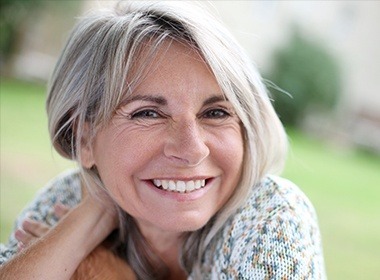 If your smile isn’t looking or feeling its best because of these types of problems, Dr. Salivonchik can help you reclaim your full and healthy smile with restorative dentistry. Using the latest techniques and most advanced materials, he can repair your teeth in such a way that they’ll look like nothing was ever wrong in the first place. To learn more about your treatment options with us, give us a call today. Why Choose S. John Salivonchik, D.M.D., P.C. for Restorative Dentistry? Dental crowns and bridges are two of the most common restorative treatments we use every day, and for good reason! With them, Dr. Salivonchik can completely fix large cavities, broken teeth, and even replace one or more missing teeth in a row. These prosthetics are personally designed by him to look and function just like natural teeth and fit seamlessly within the smile. And, thanks to his use of dental ceramics, patients don’t have to worry about a gold or silver restoration affecting their appearance. 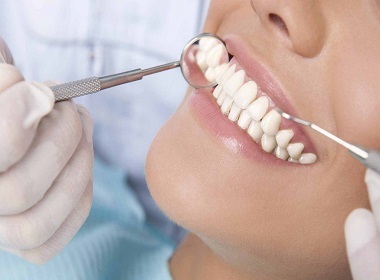 Tooth-colored fillings are made using a plastic-based composite resin, which unlike traditional silver fillings, can be shaded to perfectly match any patient’s enamel. 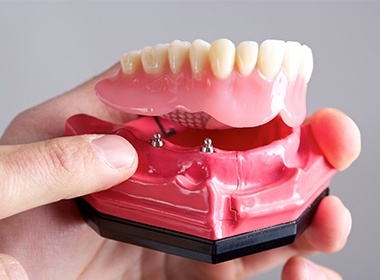 This strong and malleable material can be shaped to replace any decayed dental structure and blend with the rest of the tooth at the same time, creating a final result that is practically invisible to the naked eye. In the end, the only people who will know where the filling is will be you and Dr. Salivonchik! For patients in need of dental repair who don’t have a lot of time to attend multiple appointments, CEREC enables our office to design, mill, and place completely custom-made crowns and onlays in just one streamlined appointment. Using digital impressions and in-house CAD/CAM technology, Dr. Salivonchik can get a patient in and out of our office in about 2 hours without sacrificing quality. 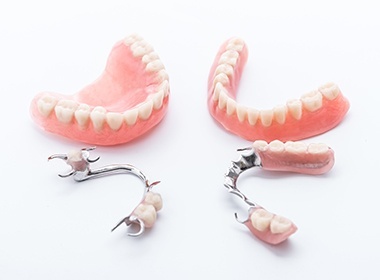 For generations, people with several missing teeth have relied on dentures as a suitable replacement, and thankfully, modern-day dentures are much more comfortable and natural-looking than the ones your parents or grandparents might have worn! Whether you’re missing just a few teeth or an entire arch, Dr. Salivonchik can use his artistic eye to design the perfect prosthetic for you that looks just as good as it feels. And, he can even help you enjoy added stability thanks to dental implants. 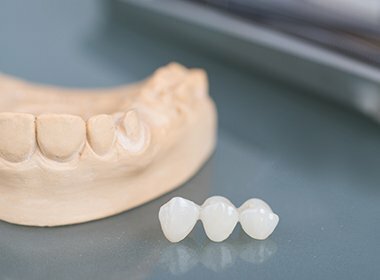 At times, patients have a restorative concern that’s a little too extensive for a common filling but not quite extensive enough to require a full-blown crown. In this situation, custom inlays and onlays are often the ideal “in-between” treatment option. Inlays and onlays are specifically designed to fit within or around the cusps (raised bumps) of the dental structure, rebuilding its strength and appearance while also preserving as much of the natural tooth as possible. 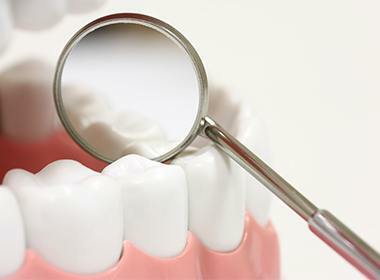 Sometimes, one procedure just isn’t enough to adequately address all of a patient’s oral health concerns. In these situations, Dr. Salivonchik is able to put together a comprehensive full-mouth reconstruction, which combines multiple treatments to dramatically improve the health, appearance, and function of the smile. No matter what condition your teeth might be in now, know that Dr. Salivonchik can help you achieve the strong and beautiful smile you deserve.